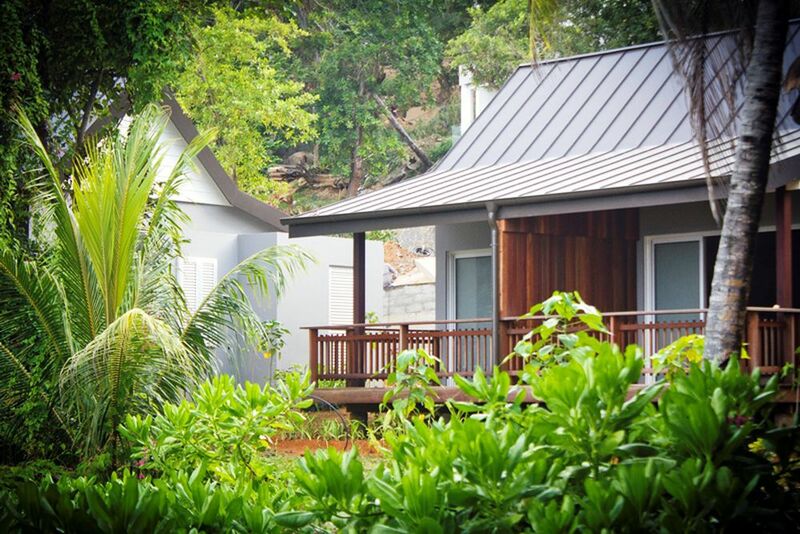 Secluded with a lot of privacy, the chalets are nestled in the beautiful green nature. 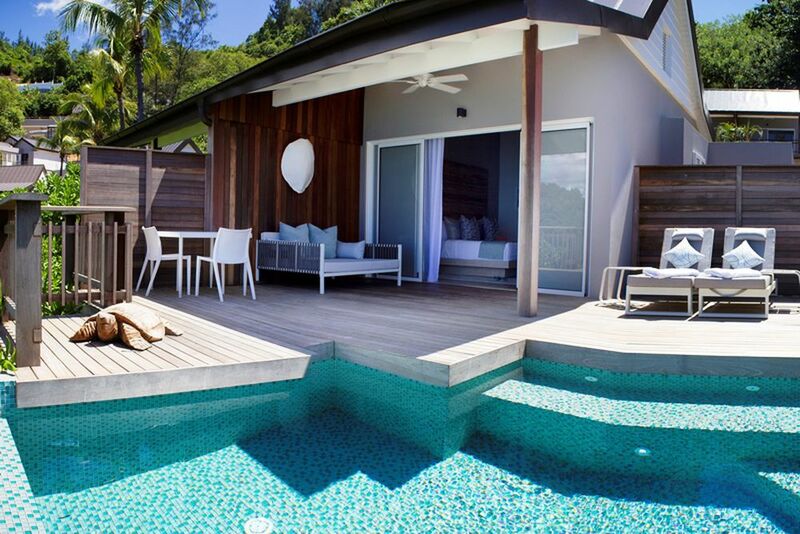 Pure Luxury - When staying at the Oceanview Pool Chalet, you do not even have to leave the villa to cool off. The hotel's large pool also attracts guests with its impeccable view of the sea. 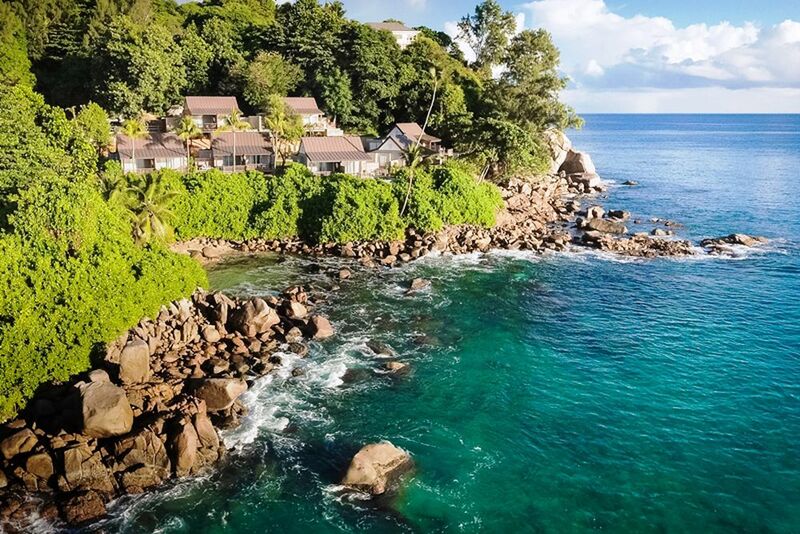 The typical granite rocks of the Seychelles ensure that the water stays crystal clear, thus making it a highlight of your vacation. 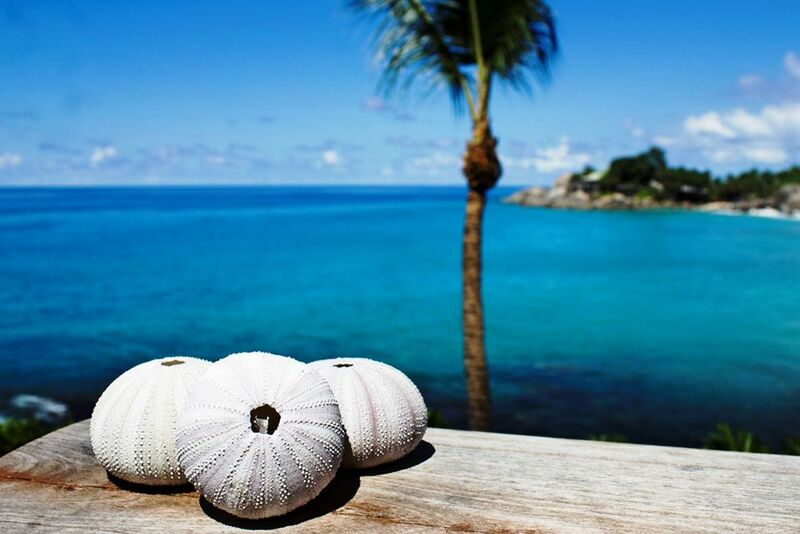 Surrounded by the original nature of the island, immerse yourself in the island life here. 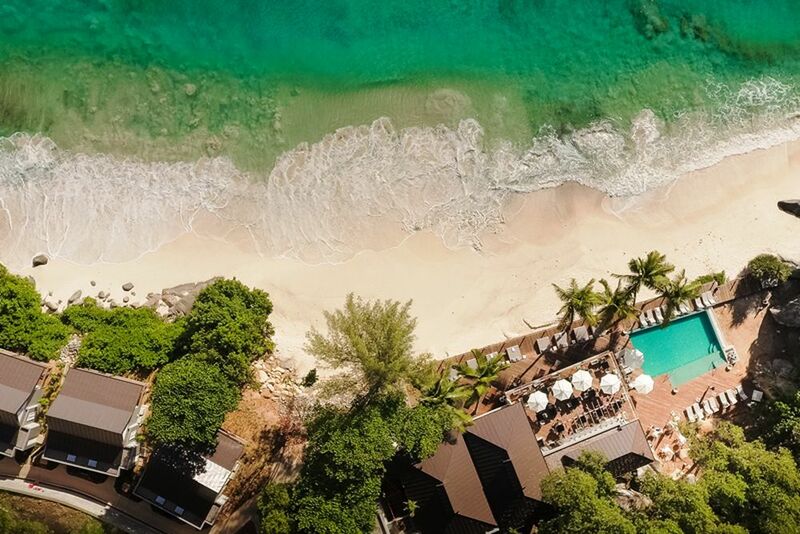 From the bird's eye view, the beach is only a stone's throw away from the hotel. A calm, serene atmosphere reflects everyday island life. Shady palm trees and plants provide pleasant temperatures on the grounds. Enjoy the view from your chalet. 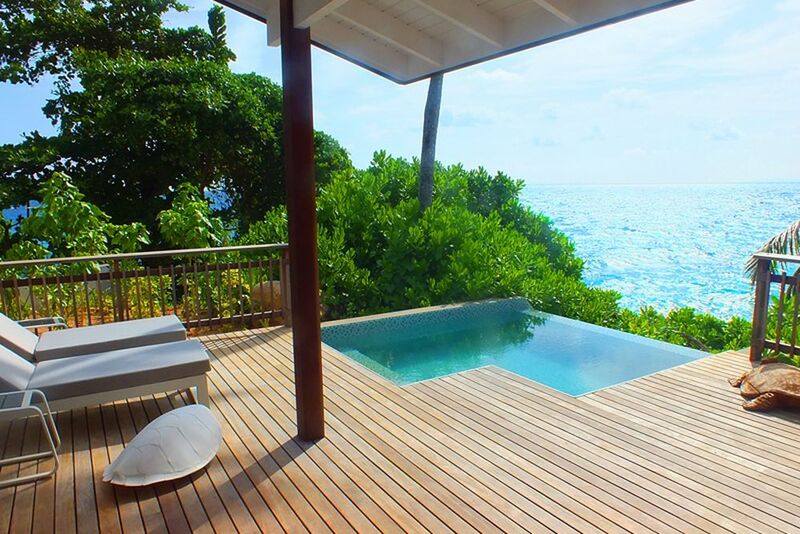 The Indian Ocean and the pleasant sound of the waves provide a relaxing atmosphere. The small bay is a short walk away. As soon as you enter the hotel, this bright and open reception welcomes you. Take a moment to relax in the beautifully designed lounge. Just sit back and enjoy. 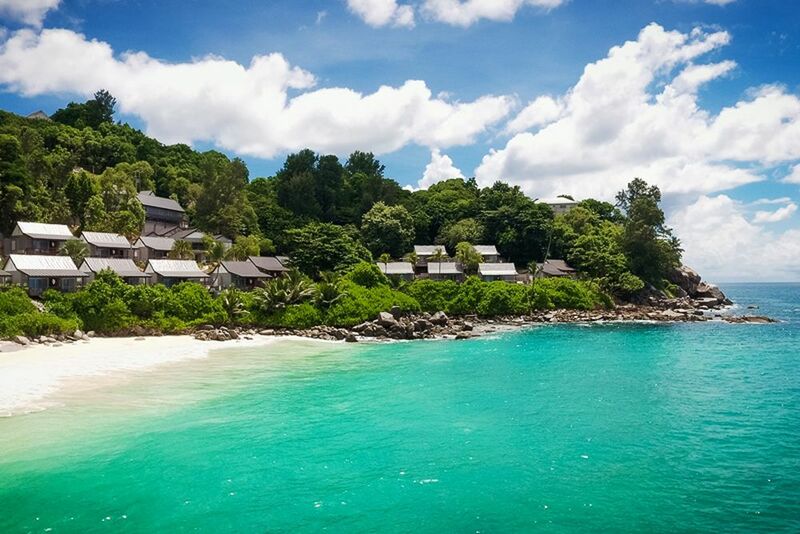 The Carana Beach Hotel is a paradise for those looking for peace and relaxation. 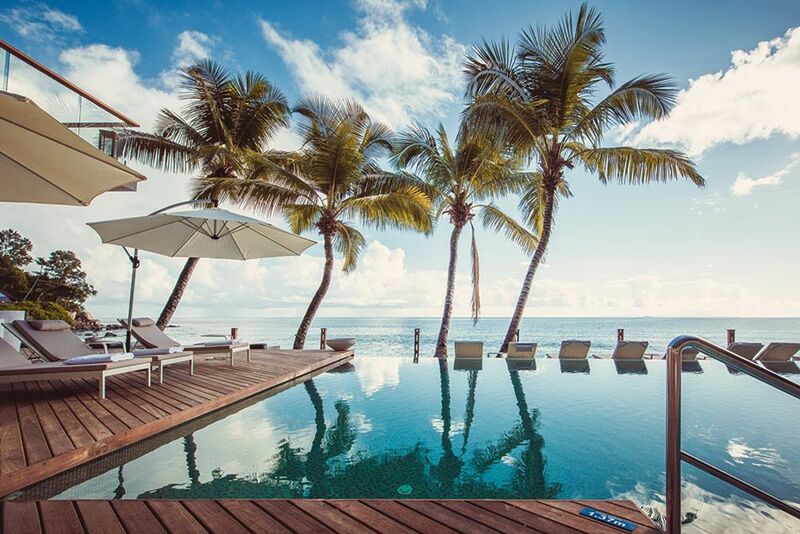 Clear sky, blue sea and palm trees - Welcome to paradise. Sunglasses, sunscreen and a thrilling book - you do not need more at the pool for a wonderfully relaxing day. Here you can close your eyes, listen to the sound of the waves and enjoy your free time. 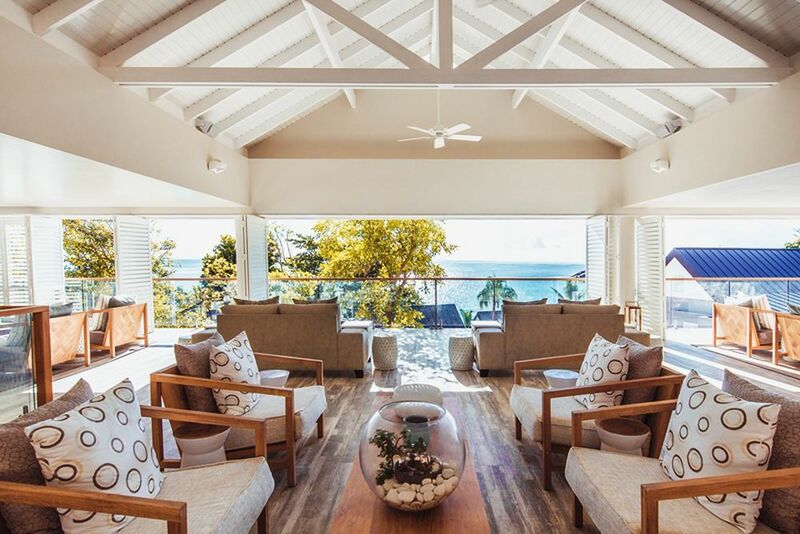 The open-plan lounge provides a view of the beach and lets in the fresh sea air. Find a relaxed spot and enjoy an exotic cocktail. The bar offers a variety of refreshing drinks. 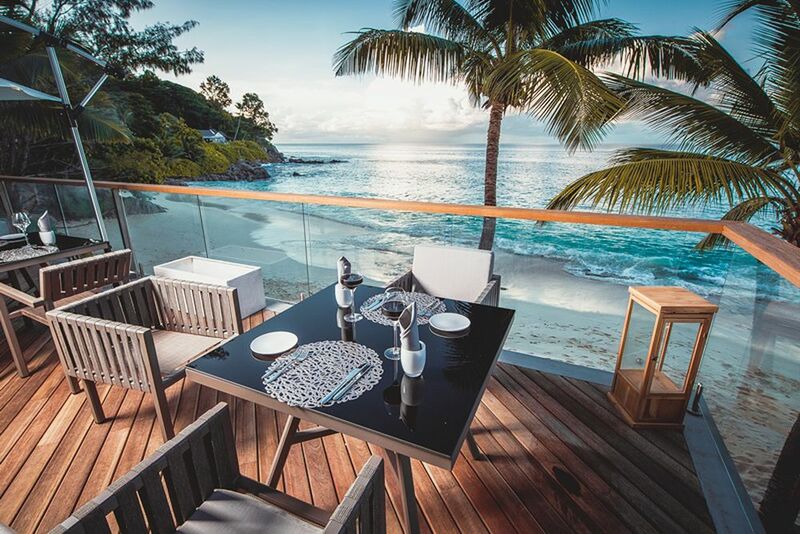 Perfect for breakfast, the Lorizon restaurant promises beautiful views with a pleasant breeze. Discreetly set lighting effects ensure a pleasant mood in the bathroom. 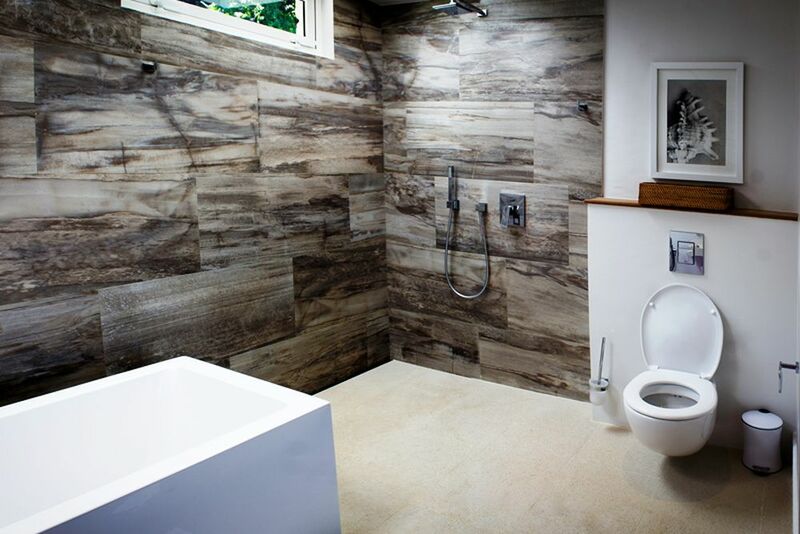 A modern bathroom can be found in all chalets. Bright colors, simple design and an open room layout can be found in all chalets - but each chalet is individually decorated. 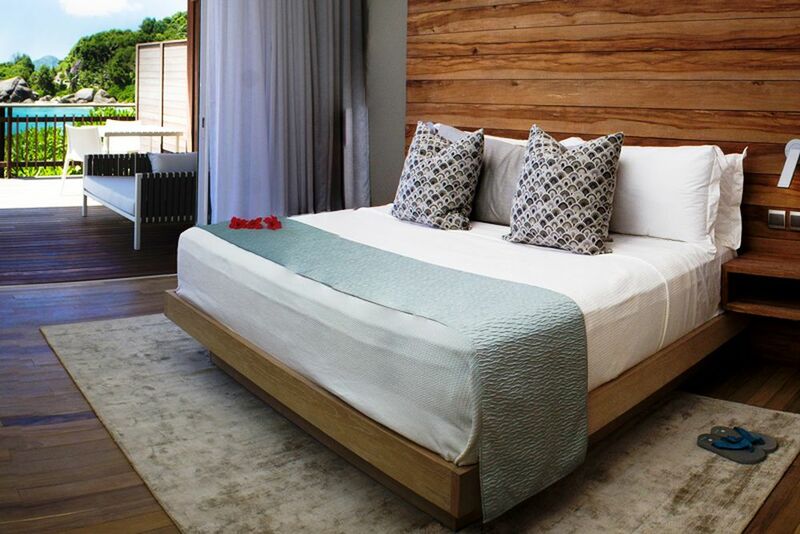 Kingsize beds and fine woods provide a feel-good atmosphere. Wake up in the morning and enjoy the view of the island shortly after getting up - pure holiday feeling. 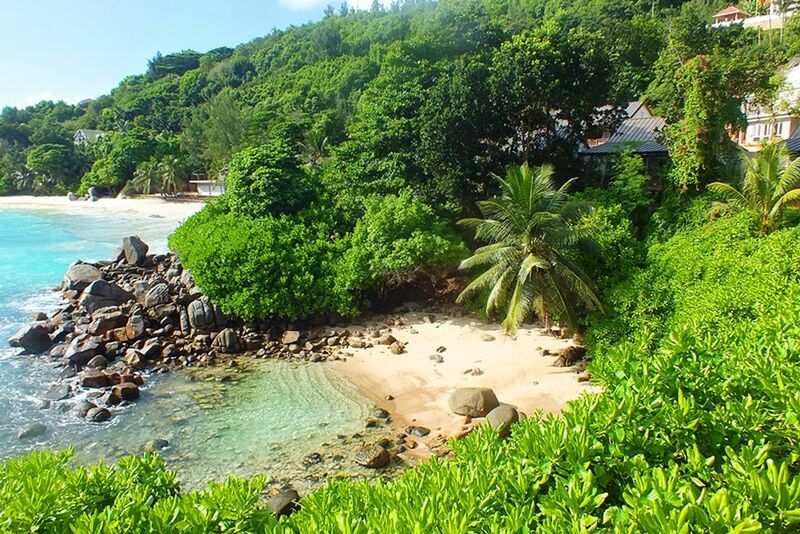 Indulge at an authentic Seychelles boutique hotel surrounded by the wild nature of the unique location in the northern part of Mahé. 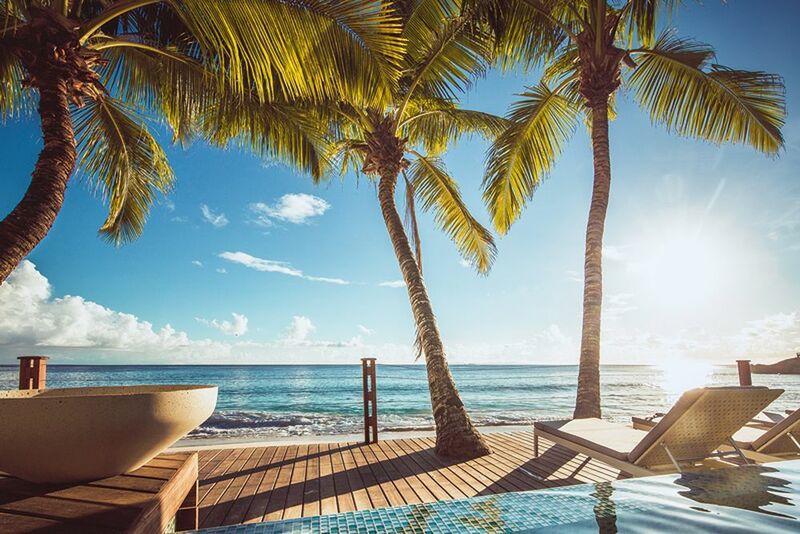 Carana Beach Hotel’s views spill out onto the striking blue seas framed by lush jungle, massive granite pillars and white sand beach. 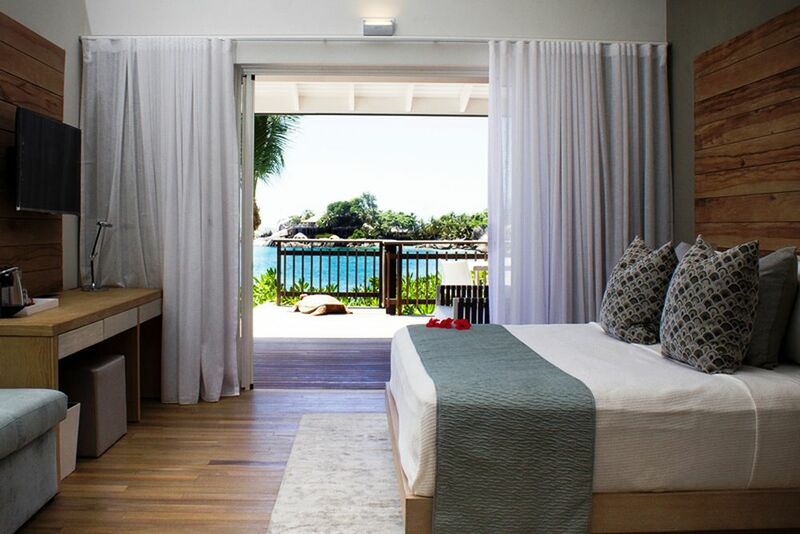 Wake up to the inviting sounds of the crashing waves on the pristine shores of the most picturesque bay on Mahé. 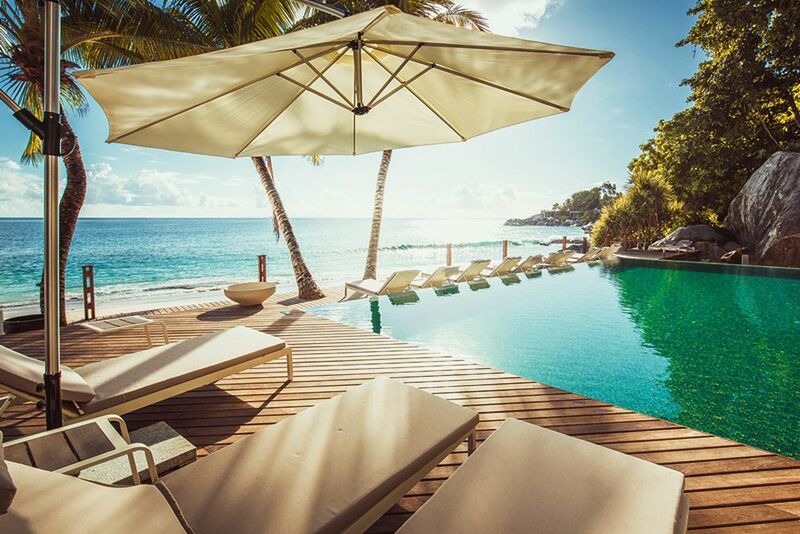 Carana Beach Hotel is designed to accentuate the wild nature of the stunning location for an unforgettable experience. 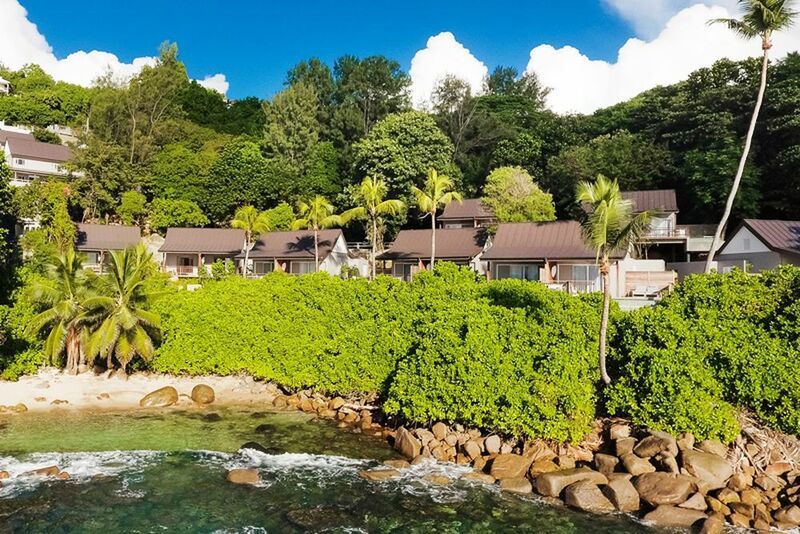 Boasting views of the lush tropical jungle and turquoise water from every room, guests can enjoy the intimate white sand beach at their doorstep or adventure out to discover the other magnificent beaches of Mahé. From the airport, you can reach the hotel in about 25 minutes. The city of Victoria is only 20 minutes away, where many guests are lured to the old town for leisurely strolls. 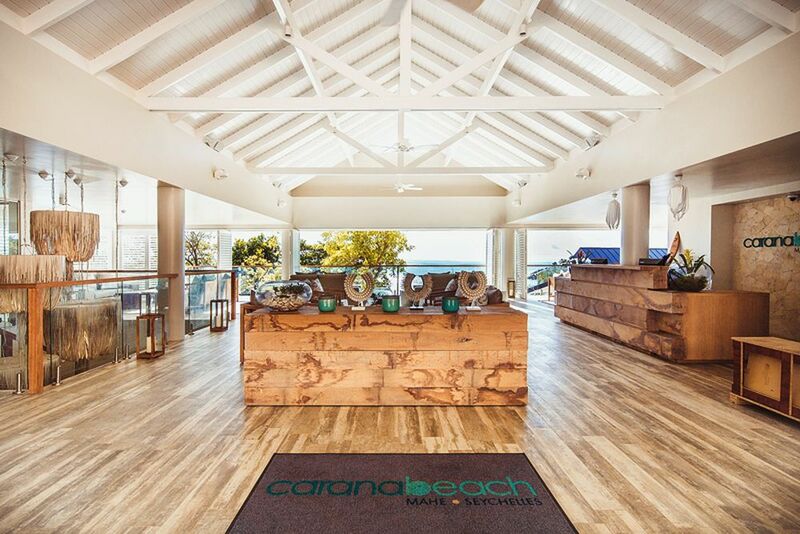 The Carana Beach Hotel creates a modern twist with traditional island architecture that impresses all travelers. 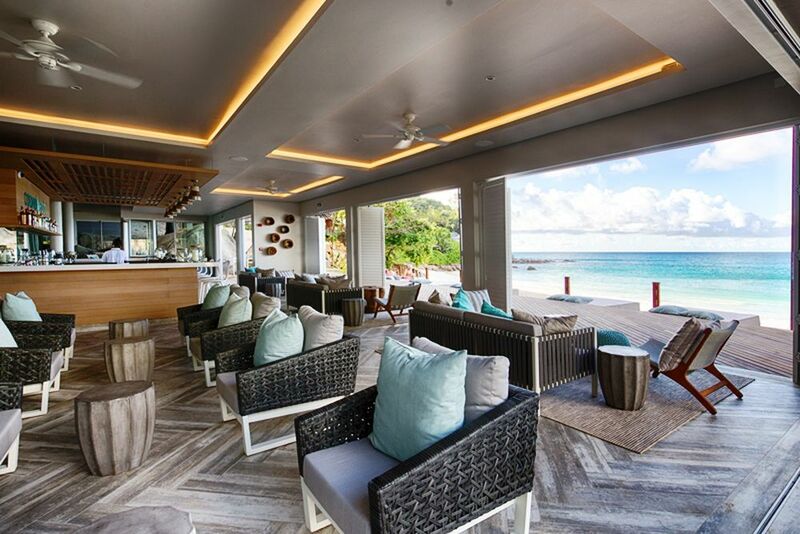 A contemporary ocean-themed décor and a home-grown culture of genuine Seychelles hospitality backed by decades of success in the Seychelles tourism industry makes the boutique hotel a perfect place to unwind and recharge. Enjoy a dip in the hotel’s large swimming pool with direct access to the beach. 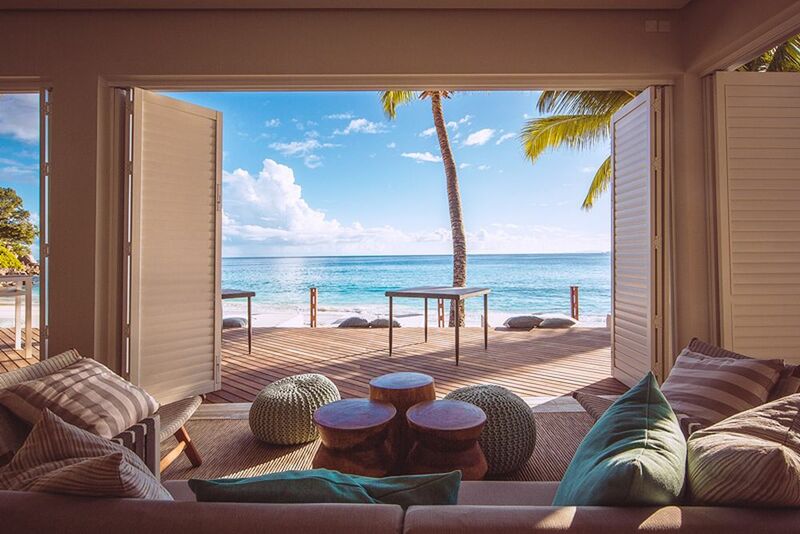 There are even individually designed cabanas ready for you to enjoy a relaxing day beneath the tropical sun. Visit the casual yet chic ambience dining options offered by the boutique hotel! All the menus are inspired by the in-house garden, which is home to typical fruit and vegetable varieties. In the restaurant, Lorizon, you are warmly welcomed throughout the day! Indulge in a pleasant breakfast with unrivalled views of the pristine beach. In the evenings, savor a wonderful à la carte dinner in a relaxed atmosphere. 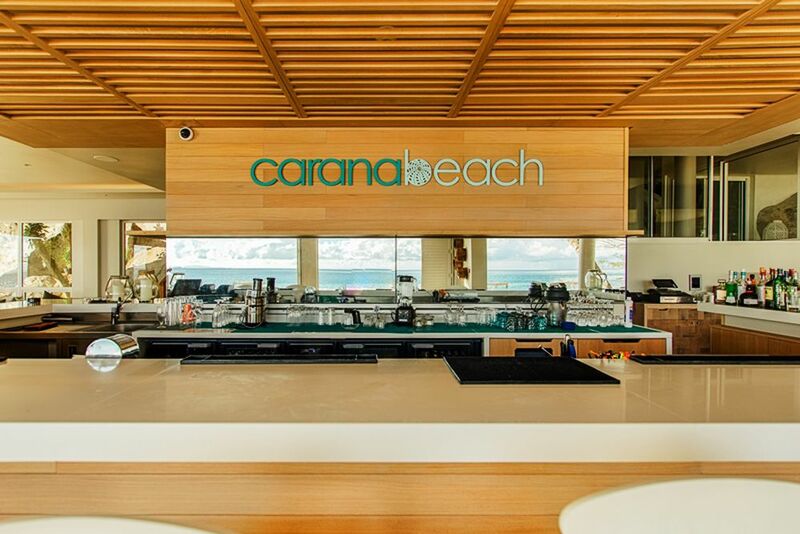 The Carana Beach Bar serves snacks and international and Creole cuisine throughout the day. Try a refreshing exotic cocktail under the tropical sun, or in the evening under the night sky! 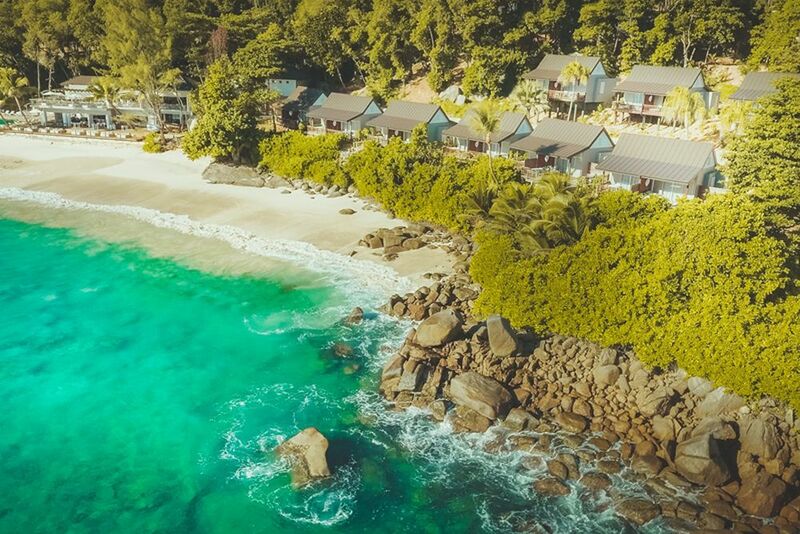 The 40 chalets of the boutique resort each reflect the raw, unprocessed character of the Seychelles, complemented by an incredible view positioned just steps away from the beach. 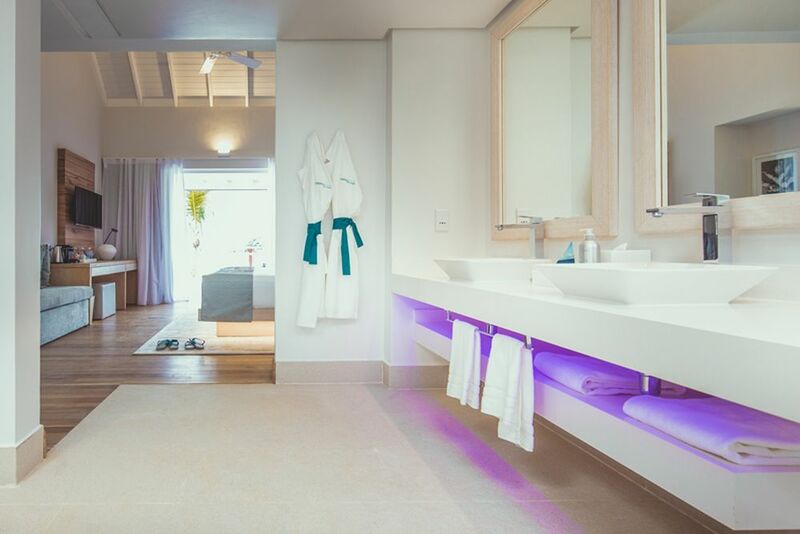 The hotel perfectly combines modern twists with traditional island architecture, contemporary ocean inspired décor and a casual yet chic ambience. 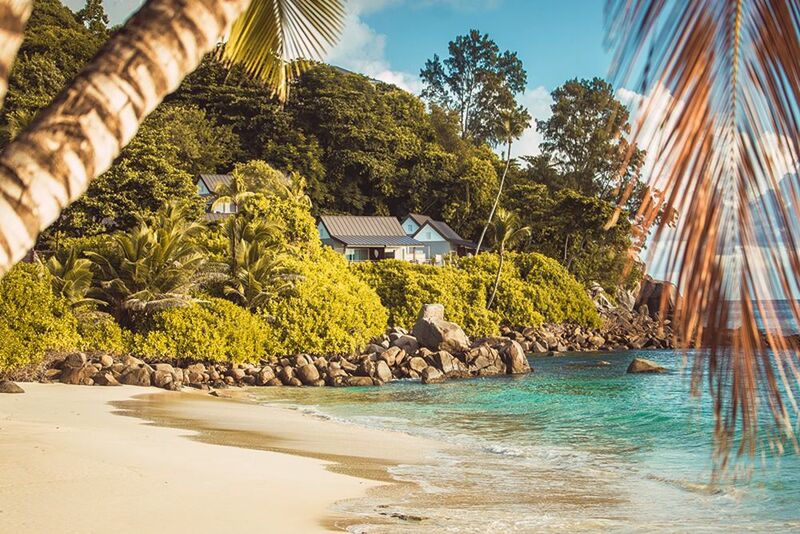 Carana Beach Hotel is the perfect place to unwind, recharge and discover the Seychelles spirit! 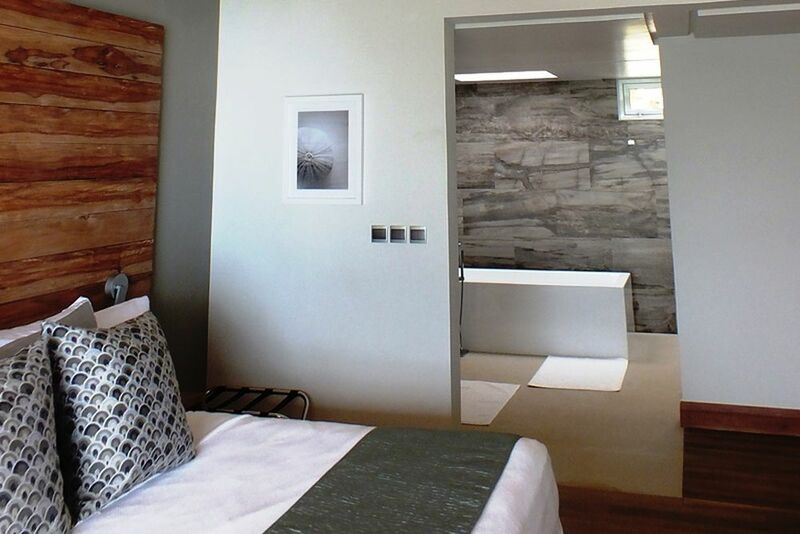 The chalets have spacious bathrooms with a separate vanity and shower, and open terraces with lounges overlooking the beautiful surroundings. In-room amenities include a telephone, Wi-Fi, LED Screen Satellite TV, air conditioning, ceiling fan, in-room safe, minibar, tea/coffee making facilities, and a hair dryer. Ocean View Chalets - ca. 45 m², The 28 spacious chalets flood with natural light and offer excellent conditions for a casual holiday with plenty of privacy. The high-quality interior makes for a comfortable ambience. Maximum of 2 adults and 1 child under 18 years. Ocean View Pool Chalets - ca. 60 m², The 12 spacious chalets have a private pool on the terrace for a relaxing day under the tropical sun. 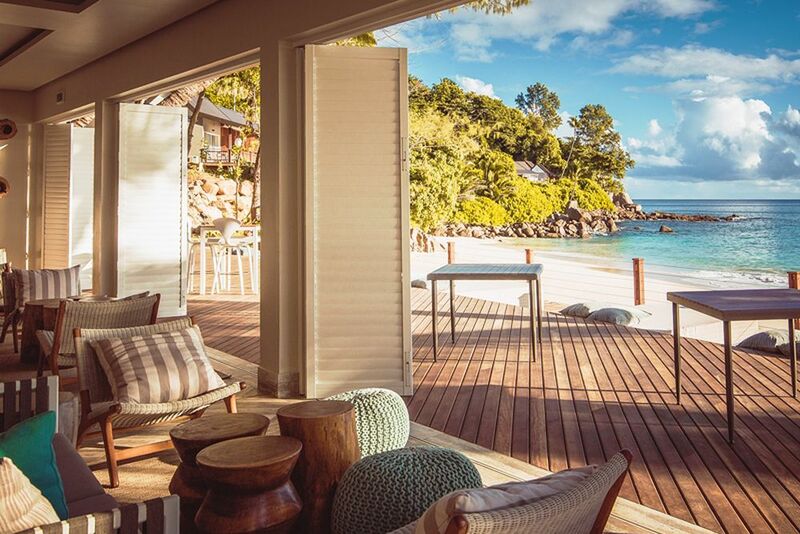 Sit back and enjoy the ocean view from the comfort of your private chalet! Maximum of 2 adults and 1 child under 18 years. The Senses Spa offers a range of relaxing treatments that will take you to a world full of aromas and exotic fragrances. Lean back and enjoy the soothing massages and therapies that will make you forget about reality. The gorgeous blue water right outside your door invites you to dive in and experience loads of different adventurous activities on the island! The hotel’s surfing center offers a wide range of options for guests to try. For a fee, you can go snorkeling and deep-sea fishing.